This is a very large Donald Duck sign. The sign measures 10 feet tall. 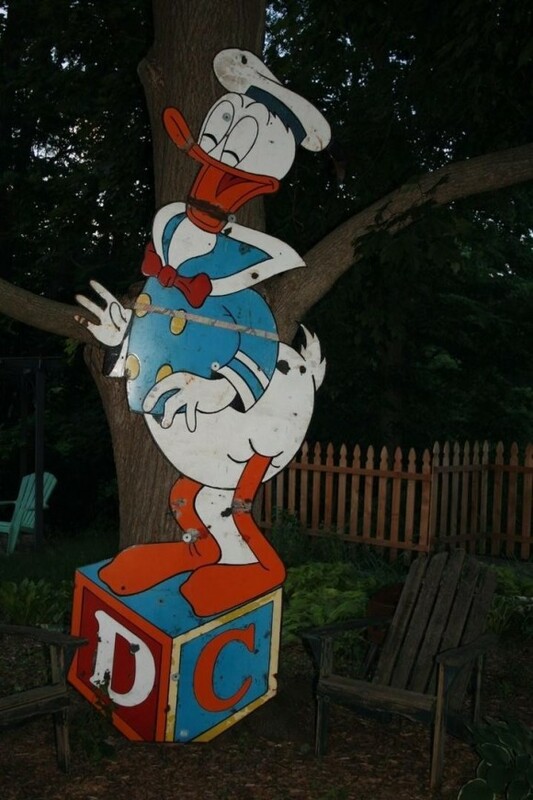 It shows an illustration of the classic Disney character, Donald Duck, standing on top of a letter cube. The sign is blue, orange, white, and black.